5 Hospitalized After Carbon Monoxide Leak In N.B. The leak forced the evacuation of 30 residents. SAINT JOHN, N.B. 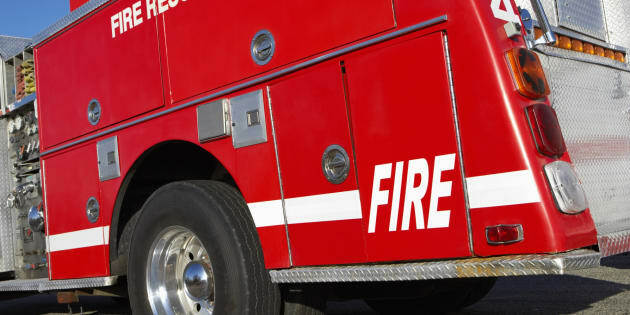 — Five people have been hospitalized after a carbon monoxide leak at a public housing unit forced the evacuation of around 30 residents in New Brunswick, a fire official said on Saturday. Steve Voutour, platoon chief of the Saint John fire department, said emergency crews were called to the six-unit townhouse at around 10 p.m. on Friday after the carbon monoxide detector went off. The property's lease holder and her mother heard the alarm, and without a key to the building, forced their way inside, said Voutour, potentially risking exposure to carbon monoxide. Neighbours also heard the alarm, said Voutour, and the lease holder contacted emergency responders, who attended to three people in a unit where a boiler was installed. He said the residents were sent to a local hospital in critical condition and two of them were later moved to a hospital in Halifax. Medical workers said the patients' carbon monoxide levels were so high, they wanted to assess other people who were in the complex during the leak, according to Voutour. He said two residents of an adjacent unit were taken to a Saint John hospital for evaluation and later released. Provincial officials, Enbridge Gas, police and firefighters are investigating the cause of the leak, he said. Canadian Red Cross said it is assisting displaced residents with food, lodging and other necessities until authorities give them the all-clear to return to their homes.